This CD contains 67 messages by Tom Bentley. The messages are in MP3 format and can be played on a computer with the relevant software and a soundcard and speakers, a CD player with MP3 capability or copied onto aÂ MP3 player.Â Click on the link below to see a list of the messages. Scroll down to read a little background information on Tom Bentley. The CD contents are owned by Tape Teaching and must not be copied, exchanged or altered without the prior consent of Tape Teaching. 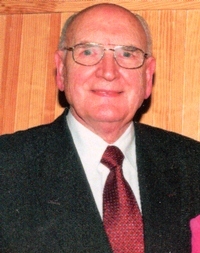 Tom Bentley was born in 1924 to parents, Matthew and Emma, who were both saved. His parents were in fellowship at Ebenezer Gospel Hall in Belfast, Northern Ireland. His Father and Mother moved out into full time service for the Lord in 1930. He was brought along to all the meetings of the assembly. Â In 1936, Mr Harold Glasgow and his father conducted a series of Gospel meetings in a tent in Finaghy Belfast. At these meetings Tom was moved with conviction of sin and sought salvation. The meetings closed on 28th June and Tom was due to go on holiday to a summer camp the following day. He asked his mother what she would like him to bring her back from his holidays. Her reply was "Nothing son, nothing, but that you will tell me that you have got saved". His holiday was at a summer camp where the gospel was preached in the evenings. Some of the meetings were conducted by a medical student called Nikko Malakka. He told his testimony of how he trusted the Saviour. Revelation 3v20 was the text chosen that evening and Tom realised the Saviour had died for him on Calvary. He knew the work was done. There was nothing left for him to do apart from let the Saviour in. He prayed using the words of a chorus he had learned in Sunday School "Come into my heart Lord Jesus. Come in today, come in to stay, come into my heart Lord Jesus. At this moment he trusted the Lord as his Saviour.